With over 40 exciting activities to experience at Avon Tyrrell, we are sure there is something that you want to try. Check out our Go Adventure Activities or book out a group activity and enjoy the challenges with your friends and family – Adventure and new experiences help shape character so try something new this year explore and experience the great outdoors. 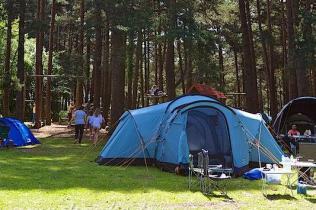 Combine activities camping and have the ultimate outdoor experience. Zip wire across the lake, climb a route on our climbing tower, kayak or canoe across open waters, learn archery and test your skills on our Archery range, learn Bushcraft survival skills and much much more….with so many options, you, your family and your friends can all discover a new adventure. Sessions are subject to availability but can include: Climbing, Abseiling, High Ropes, Zip Wire, Canoeing, Kayaking, Tandem Kayaking, Raft Building, Pedalo, Archery, Pioneering, Shelter Building, Bushcraft, Adventure Course. If there is something you are looking to do that isn't on the schedule, let us know and we will see where we can schedule you in. Please read our unsupervised child policy to ensure you are able to go off site during their activity. If you are coming as part of a group and there is something that you really want to do, we recommend booking one of our group activity sessions. This will not only guarantee you availability, but the session will also be exclusive to your group. Visit our activities page for a full list of options.